We are professional palm kernel oil mill plant manufacturer, who can provide complete palm kernel oil mill plant with input capacity 1-1000tpd. Here I mainly introduce 1tpd small scale palm kernel oil mill plant. 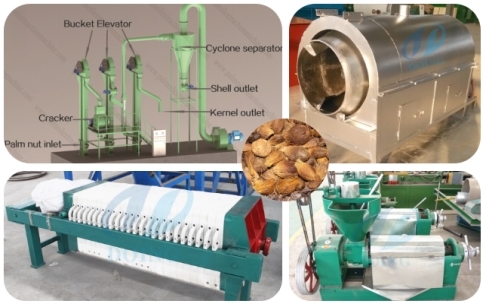 As the video shows, the total small scale palm kernel oil mill plant includes five main machines: palm fiber polishing machine, palm kernel cracking machine, palm kernel cooking machine, palm kernel oil expeller machine and palm kernel oil filter machine. After palm fruit is pressed, we can get crude palm oil and palm nuts(with fibre). 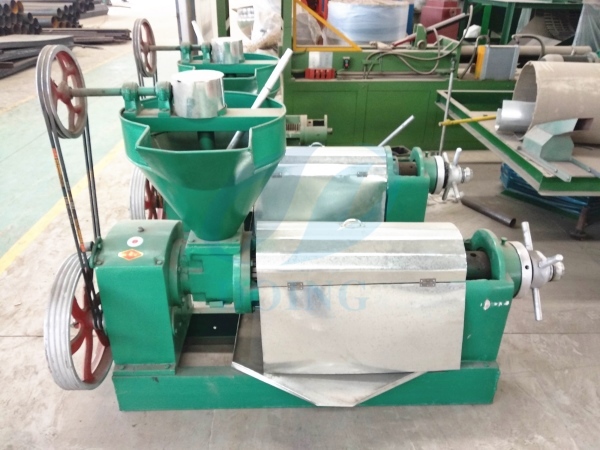 So if you want to produce the palm kernel oil, you should have the palm fiber polishing machine, which is mainly for removing the fiber in the palm nuts' surface. Then the clean palm nuts will be cracked by palm kernel cracking machine. 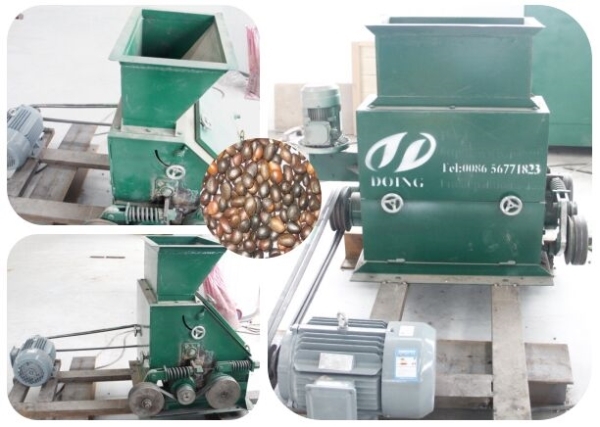 Such cracking machine can only crack the nut, and you will get the mixture of palm kernels and shells. If you want to get palm kernels, you need workers to select them from the mixture or add other cleaning sieve to cooperate. Besides, we also manufacture palm kernel cracking and separating machine. 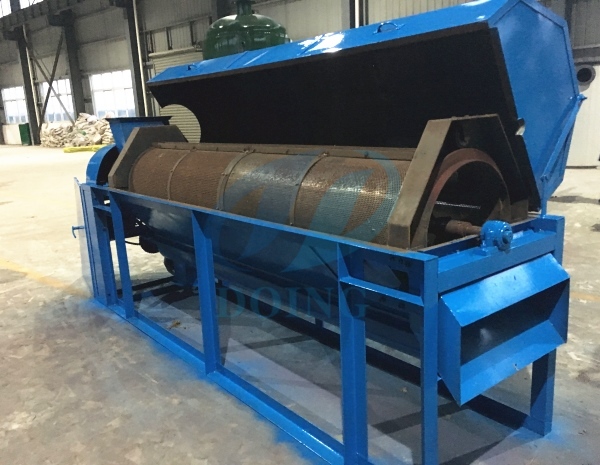 This small scale palm kernel cracking and separating machine is designed by our engineers based on the technology of large palm kernel oil mill plant. It is suitable for small scale palm kernel oil mill plant. 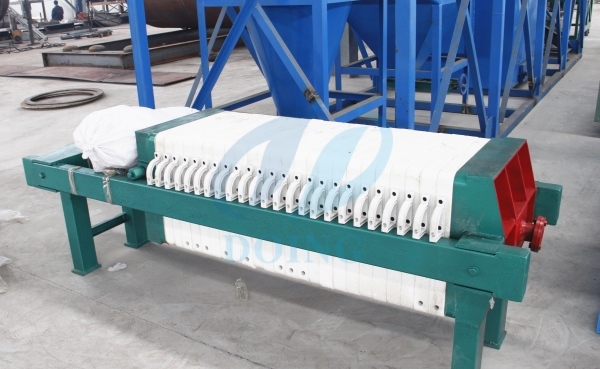 Through this machine, you can get clean palm kernels, labor saving and automatic working process. After cracking the palm kernel, palm kernel oil expeller machine will be used. At last, the oil filter machine is necessary to deal with crude palm kernel oil. Palm kernel oil refining machine is a process to remove unwanted and undesirable elements from the crude palm kernel oil. The elements that are removed include the Free Fatty Acids, Phospholipids, Gums,Odour, Color, Waxes etc. 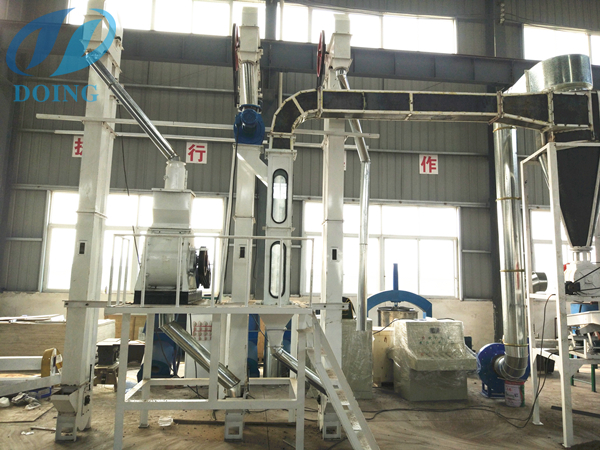 Palm kernel oil refining machine makes the palm kernel oil clean and pure and improves the overall quality of the oil. Now, small scale palm kernel oil mill plant is very popular. Henan Doing Company can help you to design your palm kernel oil mill plant. 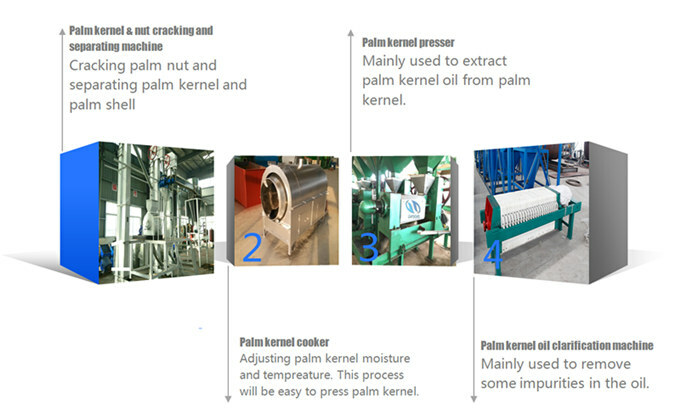 We can provide palm kernel oil mill plant with different kinds of configuration, and you can choose according to your needs. 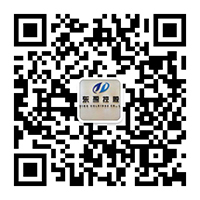 Welcome to leave your message, and we will contact you soon. If you wanna to get more details about Small scale palm kernel oil mill plant you can send E-mail to market@doinggroup.com. You can consult our professional engineer and specialized sales team with leave a message in below form.We will contact with you ASAP.You also can visit our factory in Henan,China.Get Detailed address.